Adopt a faster, simpler, more flexible business management solution with full ERP capabilities. With Sage, you are choosing the next generation of business management solutions for your Hospital or Clinic to cope with ever-changing demands of business today. Sage will help you stay agile and meet whatever comes your way. The challenges facing the healthcare industry in the 21st century range from global pandemics to new and emerging public health threats. This industry is under constant pressure to respond to an evolving environment whilst adhering to an increasing number of healthcare standards and regulations. In order to succeed under these conditions, it is imperative for organisations in the healthcare sector to utilise fully integrated healthcare systems that automate the ow of information across the organisation. From the patient appointment through to the final discharge, every interaction, process and procedure needs to be managed in a paperless environment, at the same time interfacing directly to a vast array of medical equipment. Sage Solution for Healthcare provides organisations with the best technical architecture and applications. It offers robust security and tight integration across departments including accounting and finance, providing stakeholders with the correct records and reports on demand. A complete solution for the Healthcare Industry – helping keep your focus on your patients.The Sage solution for Healthcare is multilingual, multi-currency and multi-clinic/hospital. It provides healthcare clients with the freedom to choose the modules they require. The integrated financial modules allow for detailed operational management reporting such as provider/department-wise Trial Balances, Profit & Loss Statements, Asset Management, Procurement and Material Forecasting and more. Patient appointments can be scheduled and changed and patients can be admitted, transferred and discharged with complete visibility of available beds and resources at each location. All services provided during a patient’s visit or stay in the clinic or hospital are captured and prescriptions can be given online. Tight inter-department integration enables accurate and complete In-Patient and Out-Patient Billing with interfaces to Insurance (Medical Aid) providers. There is an absolute need to review systems now. 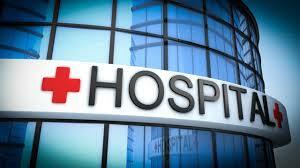 It is widely regarded as a difficult and challenging environment for healthcare organizations. Both external and internal expectations for transparency and process improvement are at an all-time high and the need to deliver service and payments to suppliers has never been more necessary. These pressures lead to potential inefficiencies at a time when budgets are unlikely to grow considerably so costs must be better managed. Now is the time to review the technologies available to take back control and deliver exceptional experience both to staff and stakeholder.